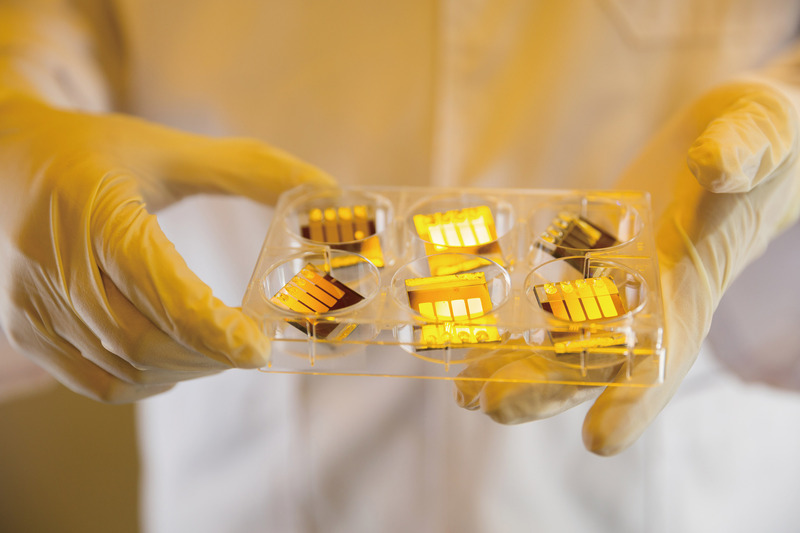 Shown above are solar cells, made with perovskite materials. 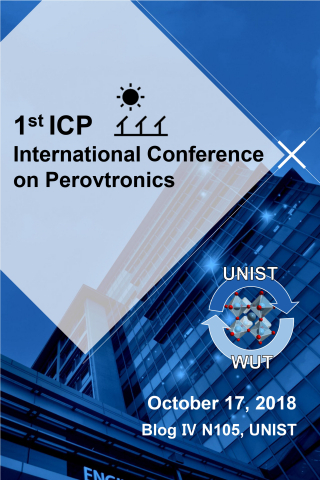 The 1st International Conference on Perovtronics is scheduled to be held in the Engineering Bldg. (110) of UNIST on October 17, 2018. A knowledge-sharing event on photoelectronic technology, such as perovskite-based solar cells and LEDs, is scheduled to be held at UNIST on October 17, 2018. 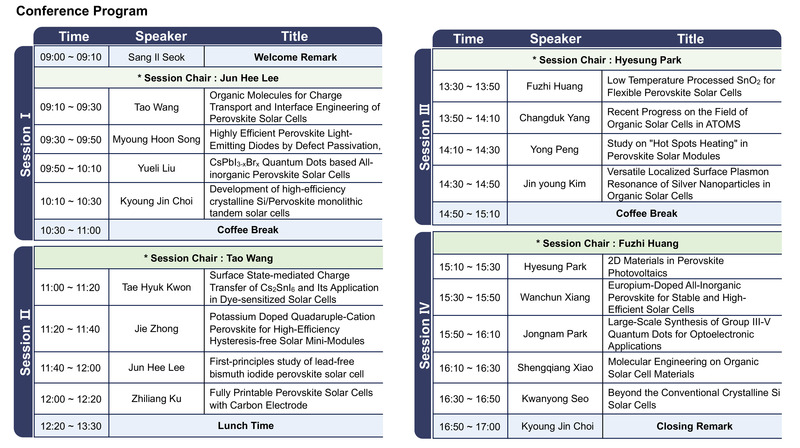 Organized by the Center for Perovtronics, the 2018 International Conference on Perovtronics will feature some of the most prominent researchers in the fields of perovskite solar cells and perovtronics to help the audience better understand the future outlook and prospects for perovskite solar cell market. This includes 10 professors from UNIST and 9 professors from Wuhan University in China. This knowledge-sharing event is devoted to sharing the up-to-date scientific achievements and widening academic collaboration between world top-class scientists, with focus on the fundamental characterizations of perovskite materials and applications to various devices, such as solar cells, LEDs, and electronic devices. Conference Schedule for the 2018 International Conference on Perovtronics. 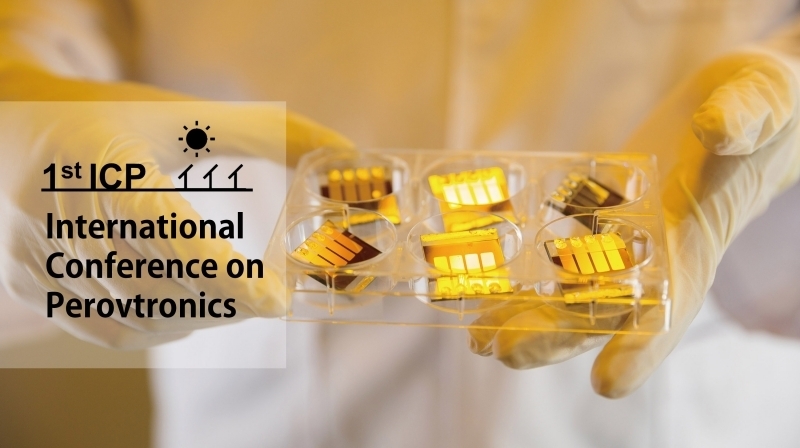 The conference aims to present the most recent attainments, highlights, current challenges and perspectives, and suggested future works in perovtronics research, which includes organic and perovskite solar cells and perovskite-based LEDs. In this context, the event will feature oral presentations given by pioneering experts in their respective fields. 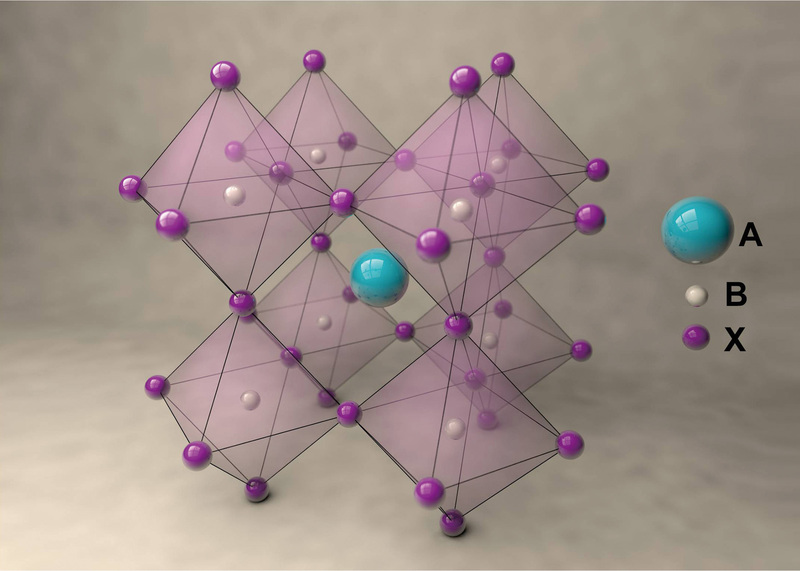 Perovskite is a semiconductor material with a special structure, containing metal ions and ions of halogen element. It has gained increasing attention as the promising candidate for next-generation solar cells, since Distinguished Professor Sang-Il Seok in the School of Energy and Chemical Engineering at UNIST succeeded in setting a new world-record efficiency performance of over 20%. 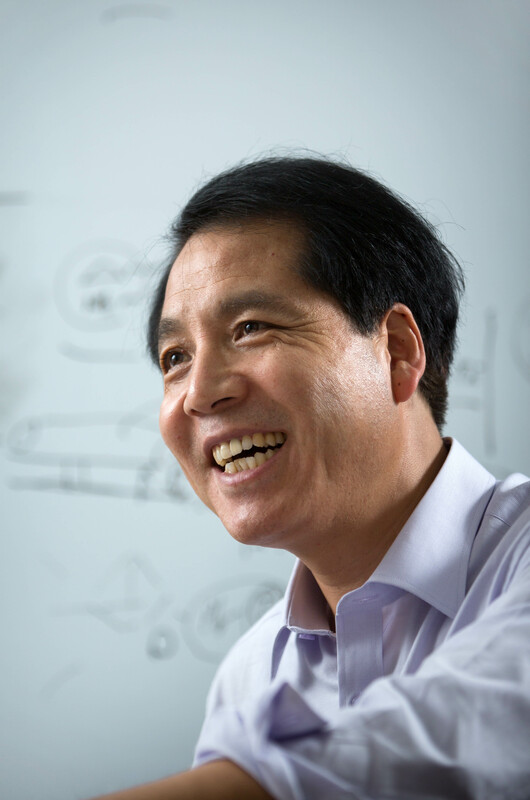 Currently, there are 10 UNIST faculty members are working at the center, which includes Distinguished Professor Sang-Il Seok (School of Energy and Chemical Engineering), Professor Jin Young Kim (School of Energy and Chemical Engineering), Professor Changduk Yang (School of Energy and Chemical Engineering), Professor Jongnam Park (School of Energy and Chemical Engineering), Professor Kwanyong Seo (School of Energy and Chemical Engineering), Professor Hyesung Park (School of Energy and Chemical Engineering), Professor JunHee Lee (School of Energy and Chemical Engineering), Professor Kyoung Jin Choi (School of Materials Science and Engineering), Professor Myoung Hoon Song (School of Materials Science and Engineering), and Professor Tae-Hyuk Kwon (School of Natural Sciences).